Home SPORTS	Who wants to spend the holidays in traction? What is it with winter sports? Does something strange happen in the human brain when it snows—similar to the entire population of the Lower Mainland forgetting how to drive—that makes us think that strapping wood to our feet and hurtling down a hill is fun? Or strapping knives to our feet and swinging sticks at each other? Shockingly, some of us are averse to injuring ourselves for fun, so maybe—just maybe—there is some sort of seasonal sport for those of us who wish to make it to March without concussions and broken bones. The great Canadian pastime that is not hockey. For those of you who are unfamiliar with the sport, it involves sliding a big rock down a sheet of ice in order to get it closest to a target, like lawn bowling on ice with sweeping. And unlike other ice sports, the surface isn’t kept mirror smooth, but is instead roughed a little to add traction to the rock. The sliding apparatus is limited to one foot and you also have a broom to balance yourself. It is no wonder that like other low-risk sports—like bowling and baseball—beer leagues are common. However, there are still risks to curling. Though there is little chance for acute or life-threatening trauma with regards to curling, Lea Bree of the Capilano Rehab Centre points out that curling does pose a risk of lower back strain, elbow pain, knee strain, and pelvic torsion, especial at the competitive level. The great Nordic sport is one of the best full-body cardio exercises you can engage in, outside of swimming. Unlike downhill skis, cross-country skis are long, only attached at the toes, and are designed for primarily horizontal as opposed to vertical movement. Cross-country skiing is a fast way to move through the snowy landscape and get some great exercise and spectacular views in as well. Though wipeouts are still common—especially for novice skiers—the low speed does mean that traumatic injuries are less common. However, according to Sophia Sauter’s article in Active Life Physiotherapy, about 75 per cent of injuries sustained by cross-country skiers are a result of overuse due to the repetitive nature of skiing. This includes such things as knee pain, rotator cuff and tendon damage, and lower back pain. 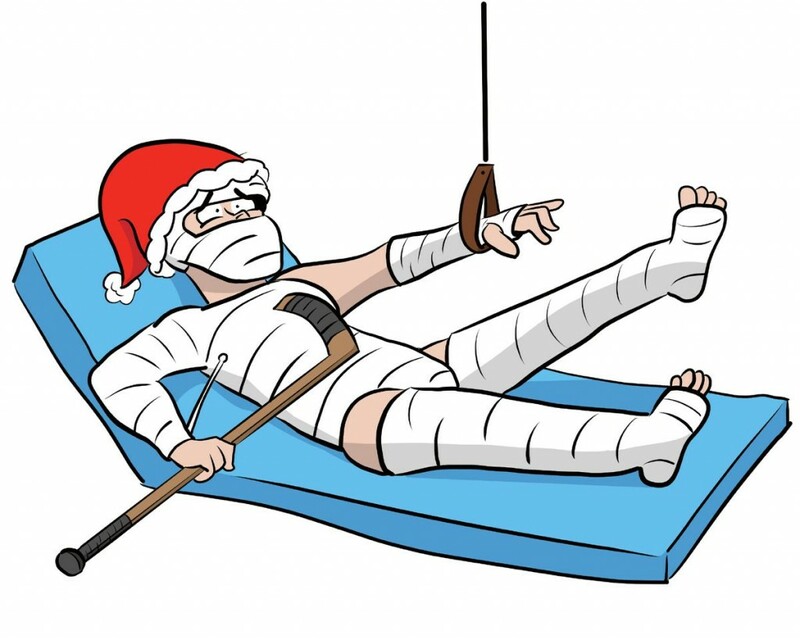 Acute injuries can include ankle sprains, thumb dislocations and the ever-popular groin sprain. All of the fun outdoor exercise of cross-country skiing without the risk of running into a tree. Snowshoeing has gone from a necessity for fur trappers on the Canadian Shield to a sport that is basically jogging in clown shoes. Modern snowshoes are small, light and designed to both grip as well as keep you above the snow. If you are an avid hiker in the warmer months this might be the sport for you. Like hiking, though, there is a great risk of getting lost or injured in the backcountry. North Shore Search and Rescue advise sticking to the snowshoe trails and keeping a charged cellphone handy in case something goes wrong. Many snowshoers overestimate their skill and underestimate the weather and terrain—the results can be deadly. Cut a hole in the ice and throw out a line. Ice fishing can be a great activity for those who aren’t looking to overexert themselves. The culture and social nature around the activity is prevalent and there are many festivals and competitions, as well as many viable lakes throughout the interior of British Columbia that allows such activities. Just remember to get a fishing licence. Oh, and check the thickness of the ice. Thiels et al noted in their 2016 study of American ice fishing injuries that “Ice fishing is associated with more severe injury patterns and more thermal injuries and immersion injuries than traditional fishing.” It is recommended that you also know the area and not set up near inlets or running water. So if you do decide to go out and enjoy yourself this winter, play smart and stay safe. As for me, I will be engaging in some professional level wine mulling, and that’s about it.